MY UNCLE PETER is selling his 1954 MG Roadster. 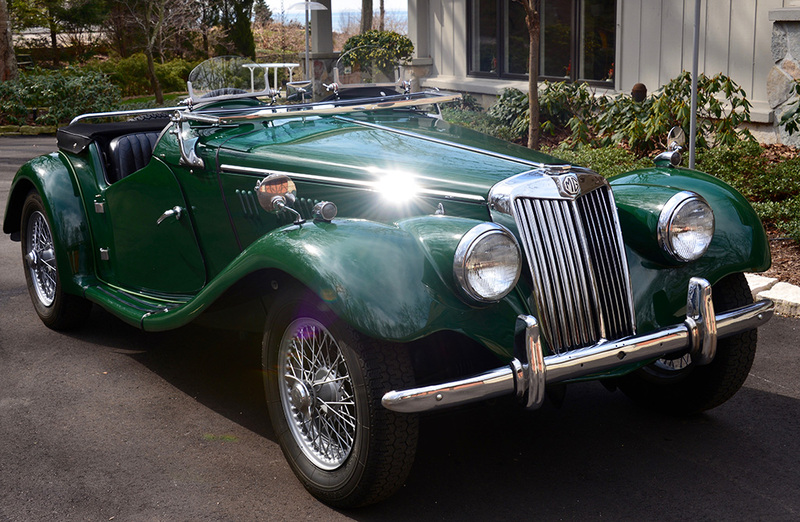 It's a beautiful car with a lot of history, especially for the Hart family. Click here for more details about the car. I figured there may be some interest in Quincy, since the Tin Dusters are so big around here. An fascinating look at the car and its history can be found here. He bought it nearly 40 years ago while living in Australia. I remember being in it in the mid-80s when he lived in Toronto. A couple of summers ago we tooled around the back roads of Ottawa County, in Michigan and it was a blast. Peter is downsizing and selling off some of his "toys," so to speak. He lives south of Holland, Michigan. I don't know much about classic cars, but I did some poking around online and I think this vehicle is very fairly priced. It can't be easy to part with such a great car. Sure, it's just a vehicle, a motor with wheels, but I'm sure it means much more than that. I just had a discussion with a woman who wants to sell her 40-year-old guitar, which isn't worth much. I talked her out of it, for now. The personal value is greater than the financial worth. But in this case, I understand why Uncle Peter is selling the MG. He and my Aunt Helen have been looking for some time to downsize and move to a smaller home. Sheryl and I hope to get up there later this summer. Part of me hopes it sells before that, but another part thinks it would be fun to take another ride. Here's to hoping it finds a good home.